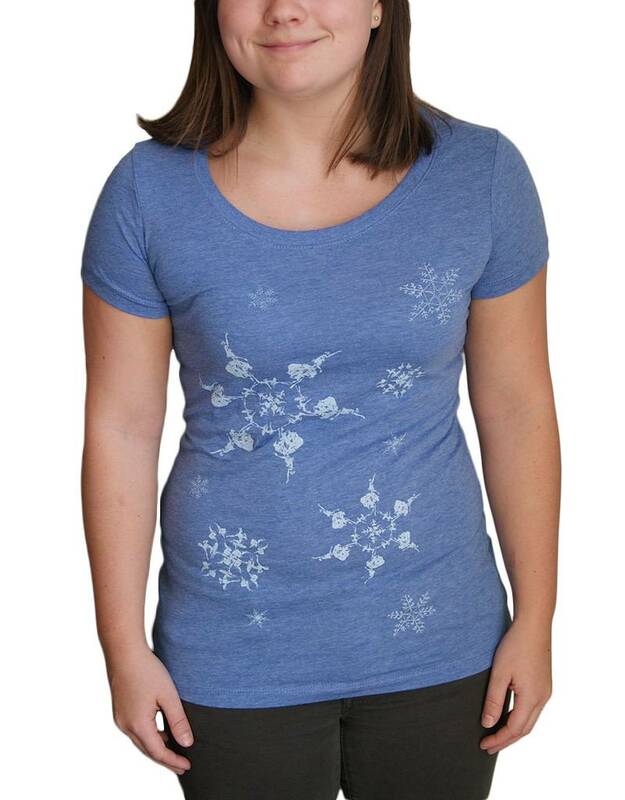 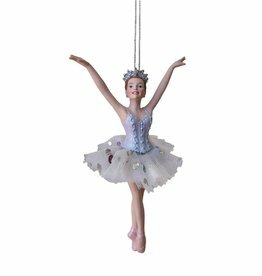 The 2017 Nutcracker fitted tee features a delicate snowflake design comprised of dancers from the snow scene. 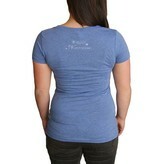 This shirt is available in a blue tri-blend and is 50% polyester, 25% cotton, and 25% rayon. 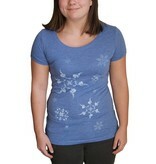 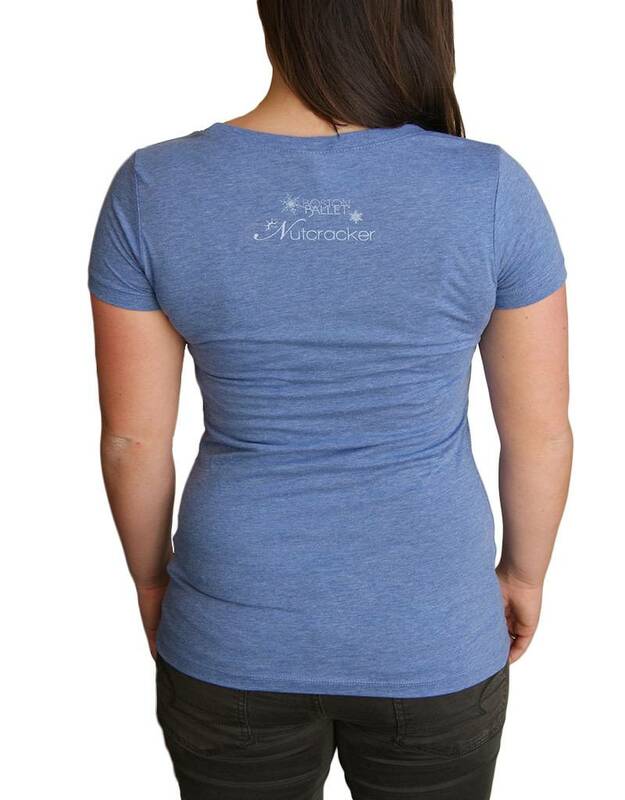 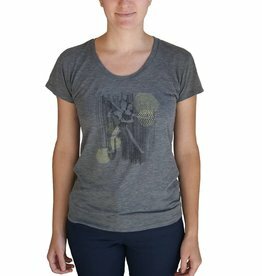 Ladies fit scoop neck tee is a rayon/polyester blend.